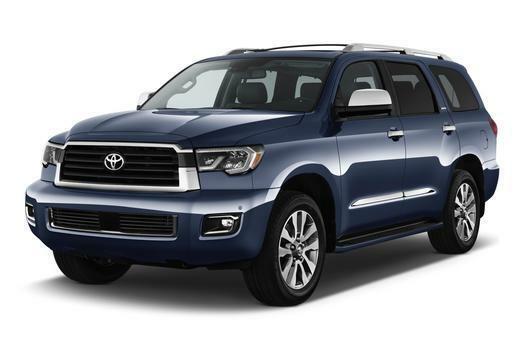 Here at Pedersen Toyota we often hear from shoppers wondering what differences there are between the 2019 Toyota Sequoia and the 2019 Toyota Land Cruiser. Both SUVs are truck-based, features three-rows of seats, and share other attributes. That being said, there are also quite a few distinguishing factors you need to know about, which we detail below. Keep our dealership in mind for all your Toyota needs. Of course, you can find the 2019 Toyota for you at our inventory. We have an amazing selection of cars, trucks, and SUVs, satisfying a range of tastes. While both are large SUVs, there are some distinct sizing differences between the Toyota Sequoia and Toyota Land Cruiser. Some shoppers might find the following information to be quite helpful in deciding which is literally the best fit for them. If you’re a taller driver, the Toyota Land Cruiser might be a more compelling option. It offers more front headroom and legroom, which is a nice bonus. However, the Toyota Sequoia comes with more backseat headroom and legroom, which could be a deciding factor if you’re transporting tall adults or teenagers. Both vehicles can fit between 7 and 8 people at a time. You also enjoy a decent amount of cargo room even with the third-row up in the Toyota Land Cruiser, while the Toyota Sequoia has a much larger cargo area. Then there’s the issue of exterior dimensions. If you’re attempting to park in a tight space, such as a busy parking lot with narrow stalls, you’ll notice the Toyota Land Cruiser isn’t as wide as the Toyota Sequoia. If you expect to be squeezing into smaller spaces on a regular basis, that’s a good thing to consider. Naturally, you’re going to be concerned with how both SUVs perform. Whether you’re planning to stick to the pavement or hit some rugged trails, you need a vehicle which can handle whatever you encounter. Both vehicles offer four-wheel drive as well as a V-8 engine with the same torque and horsepower ratings. Turning radius matters whether you’re maneuvering on the road or trail. The Toyota Sequoia has a slightly smaller turning radius than the Toyota Land Cruiser, so it is a little easier to handle in different situations. For many shoppers, the cost of a vehicle is a deciding factor. 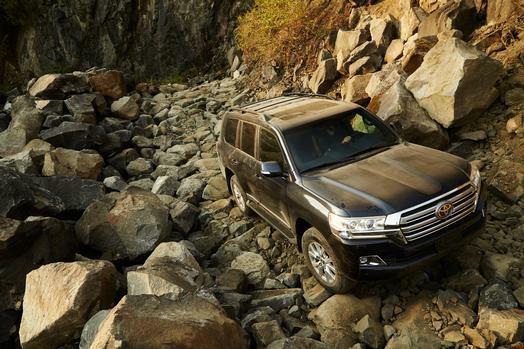 There is a considerable gap between the Toyota Sequoia and Toyota Land Cruiser, so anyone on a tight budget might find this to be what determines which they purchase. That’s a big difference, with the Toyota Land Cruiser being the more expensive option. Now that you know more about the 2019 Toyota Sequoia and 2019 Toyota Land Cruiser, it’s a great time to take one or both for a test drive. Contact us at Pedersen Toyota to make an appointment. *MSRP excludes the Delivery, Processing, and Handling Fee of $930 for Cars (Yaris LB, Yaris Sedan, 86, Corolla, Corolla HB, Camry, Camry HV, Prius LB, Prius c, Prius Prime, Mirai, Avalon, Avalon HV, GR Supra), $1,095 for Small/Medium Trucks, SUVs and Van (C-HR, RAV4, RAV4 HV, Highlander, Highlander HV, 4Runner, Sienna, Tacoma), $1,295 for Large SUVs (Sequoia, Land Cruiser), and $1,495 for Large Truck (Tundra). (Historically, vehicle manufacturers and distributors have charged a separate fee for processing, handling and delivering vehicles to dealerships. Toyota’s charge for these services is called the “Delivery, Processing and Handling Fee” and is based on the value of the processing, handling and delivery services Toyota provides as well as Toyota’s overall pricing structure. Toyota may make a profit on the Delivery, Processing and Handling Fee). Excludes taxes, license, title and available or regionally required equipment. The Delivery, Processing and Handling Fee in AL, AR, FL, GA, LA, MS, NC, OK, SC, and TX will be higher. The published prices do not apply to Puerto Rico and the U.S. Virgin Islands. Actual dealer price will vary.